Fibrebond | Fibrebond is Hiring! 19 May Fibrebond is Hiring! The national economy continues to log impressive growth, and Fibrebond is booming. 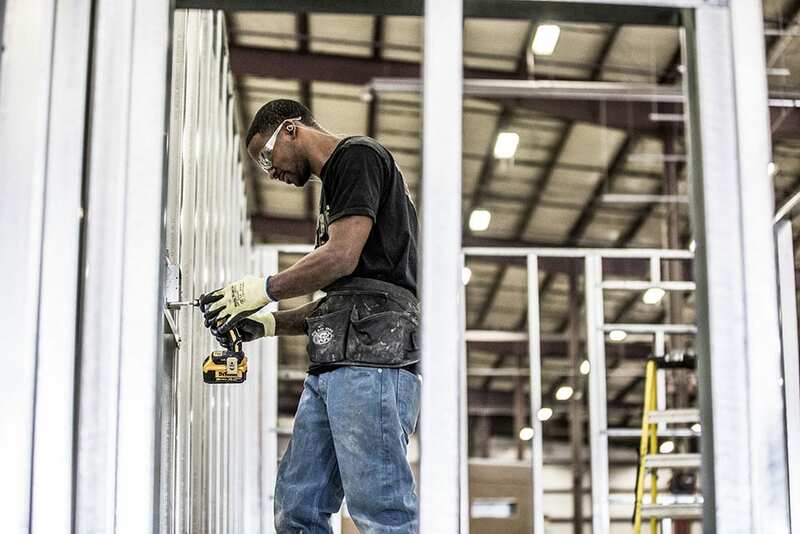 As a leading manufacturer of mission-critical enclosures, Fibrebond is aggressively ramping up hiring with the goal of bringing 150 new team members onto our roster by October. Why the need for new employees? A quick survey of the business landscape in America reveals that several industries are scaling their IT capacity and making a bigger push into Cloud services, artificial intelligence, and Internet-of-Things technologies. All this activity caused a boom in tech companies and data center providers who are growing their businesses to meet infrastructure demand. There’s also a need for Gensets and UPS buildings to provide continuous and backup power as part of the data center infrastructure. In addition, oil and gas operations and utility providers are seeing renewed growth and these industry rely on equipment that must be secured. The companies that provide prime and back-up power solutions look to Fibrebond to fabricate dependable enclosures that will protect their essential equipment so daily operations and emergency situations continue without a hiccup. By the end of June, we hope to add 90-150 professionals to the Fibrebond team. Our production department has immediate openings for electricians, welders, painters, assemblers, carpenters, sheet metal operators and quality assurance inspectors. We’re also looking to fill administrative and management roles such as project managers, manufacturing engineers, and sheet metal supervisors. We’re fortunate to have some big and exciting projects lined up and are looking for skilled professionals who are passionate about delivering superior quality work. Our business has become more technical and Fibrebond products now feature heavily integrated electrical systems, so the need for talented personnel is greater than ever. Whether you’re just starting your career, or you’re an experienced professional looking to join a growing company, consider coming on board the Fibrebond team. We offer competitive pay, a great work environment, and jobs that you can be proud of. Apply today!